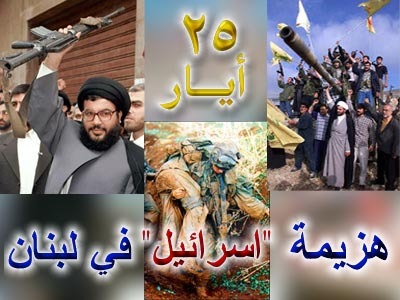 Hezbollah Secretary General Sayyed Hasan Nasrallah assured Tuesday that “our priority remains liberating our land and protecting Lebanon from the Israeli danger… because we believe that Lebanon is still under threat,” and indicated that “our 30 year old experience proves that Hezbollah is a friend of Syria and not its agent”. “There are countries funding, arming, and encouraging fighting in Syria… Some are Arab and others are not,” he assured. Sayyed Nasrallah further clarified that “Basically, we don’t interfere in other Arab countries’ affairs, and this has always been our policy,” adding: “since the events in Syria erupted, we had talks with the Syrian leadership and discussed with it the importance of making reforms”. “I personally found that President Bashar Al-Assad was very much ready for implementing major and radical reforms,” he added. “Hezbollah referred to this strategy after years and years of violations against Lebanese citizens, and its only goal is to create a deterrence equation to prevent Israel from killing Lebanese civilians,” he assured. His Eminence Sayyed Hasan Nasrallah was the first guest in wikileaks co-founder Julian Assange’s new program “The World Tomorrow” which is broadcast on Russia today. The first episode of Assange’s program aired Tuesday 17 April at 3:30 pm Moscow Time, 11: 30 GMT. The weekly program is consisted of 10 episodes in which Assange – who is currently under house arrest – will interview different political and social figures whose stances could change the future. Hizbullah Secretary General His Eminence Sayyed Hassan Nasrallah made a satellite appearance on Tuesday in a one-on-one interview with Wikileaks founder Julian Assange. The interview was part of the premiere of Assange’s program “The World Tomorrow”, which is broadcasted on Russia Today (RT), the Russian state satellite channel. Sayyed Nasrallah’s identity as the program’s premier guest was kept secret until broadcast. During the brief interview, Sayyed Nasrallah tackled the most important issues on the local, regional, and global arenas. On the Syrian level, Sayyed Nasrallah revealed that Hizbullah has contacted some opposition parties, in an attempt to lessen the tension sweeping across the country. “We contacted some parties of the Syrian opposition to encourage and facilitate dialogue with the regime, yet these parties rejected dialogue [from its roots],” His Eminence stated. “There is fighting in Syria – when one party retreats, the other will advance, it will go on as long as doors to dialogue are shut,” he added in his interview with Assange. “There is an opposition that is not ready for dialogue, and it is even not willing to accept reforms, yet all it seeks is to topple the regime,” Hizbulllah Secretary General indicated. “The only sole solution is to establish one state in Palestine, in which all people; Muslims, Jews, and Christians live in peace,” he elaborated. “Liberating the land is our true goal, and this is an indisputable goal among the Lebanese. We entered the Lebanese government in 2005 for the first time, and our goal was not to take part in power, but to protect the resistance […] so that this government would not make any step against it. 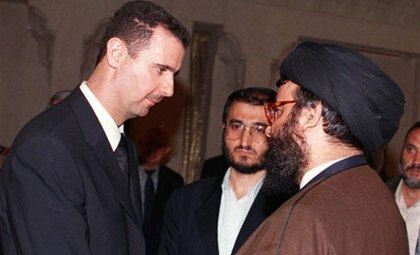 We avoid all disputes to serve this goal,” Sayyed Nasrallah emphasized. Following the publication of the French edition of the “The Wandering Who ?” we asked jazz star Gilad Atzmon to respond to charges made against him by those who relentlessly try to stop him from speaking and disseminating his ideas. In his book, Gilad is critical of Jewish identity politics. He is also highly critical of Jewish political activity within the Left in general and the Palestinian solidarity movement in particular. Gilad’s arguments are impeccable – they appear faulty only to those who, lacking conscience incline to making slanderous accusations. Silvia Cattori: Your book has just been published in French (1). Without any promotion it is selling like hotcakes; in spite of the fact that six months before the French publication (2), members of U.J.F.P. (French Jewish Union for Peace) and I.J.A.N. (International Jewish Antizionist Network) launched a campaign to demonise you within the left and the Palestinian solidarity movement,. Did all these attacks come as a surprise to you? Gilad Atzmon: As you probably know I have been subject to these vile Jewish anti-Zionist campaigns for years. It is clear beyond doubt that I have managed to rock the boat. As it happens, I oppose any form of Jewish identity politics for being exclusive and racially oriented. Sadly enough, like Zionists, many of the Jewish anti Zionist political cells are openly engaged in similar tribal, racially-driven and exclusivist politics. But there is also an ideological issue here. I openly contend that their entire terminology is misleading. Zionism is not colonialism, Israel is not Apartheid and the Israelis are not Zionists. Zionism is not colonialism because the Jewish ‘Settler State’ lacks a Jewish ‘Mother State’. Israel is not Apartheid because the Jewish (settler) State doesn’t want to exploit the Palestinians but to get rid of them. Israel is actually driven by Lebensraum (Living Space) philosophy. In other words, the Jewish State adopted Nazi racist, expansionist ideology. But the Jews in our movement do not like the comparison with Nazi Germany. Also, Israel is not exactly Zionism and Israelis are not necessarily Zionists. Israel is the product of the Zionist ideology and the Israeli is basically a post-revolutionary product. Hence, the Zionist/anti-Zionist debate has very little significance in Israel or on Israeli politics. In short, our entire terminology is misleading if not deceitful. I guess that since I expose all of this it is only natural that some people would wish to kill the messenger. Silvia Cattori: Many people accept that you are one of the most honest and sincere thinkers within the movement. Many respect you a lot, because you have the courage to speak your mind. And the fact members of UJFP in France, or IJAN in Switzerland, are able to mount pressure on those who publish your writing or invite you, does it not itself, merely affirm what you argue in your book? Gilad Atzmon: These Jewish anti-Zionists cells are promoting a tribal and a marginal call; they are not very many but they are very noisy. There is a clear Judeo-centric interest in keeping Jewish dissident organisations alive because they manage to maintain Jewish hegemony within the Palestinian solidarity discourse and beyond. Tragically enough, as long as this is the case, there is no chance for this movement to become a mass movement. Their message is too esoteric. For instance, why should anyone join a Palestinian solidarity group if one of the main aims of the movement is ‘fighting anti-Semitism’? If people are really interested in solidarity discourse they must make sure that it becomes a universal movement driven by compassion and ethical concerns. This may take you by surprise, I actually would like to see as many Jews as possible in this movement; but they should concern themselves with the real issues here i.e. the plight of the Palestinians and Jewish (political) power. I basically work on Jewish power and analyse Jewish identity and politics; this is my favorite subject. And it is quite astonishing that the first people who actually attack me and try to silence me are people who claim to be ‘Jewish Palestinian solidarity activists’. This fact alone gives the impression that they are not actually what they claim to be i.e. solidarity activists. They are just another form of the ADL (equivalent of the CRIF in France). Now, I am happy to debate this issue. If they want to debate me, tfadal– come and confront me in London, NY or Paris…If I am wrong debate me, if I am incorrect please point out my mistakes. Did I get my facts wrong? Are my arguments flawed? Not really, no one has yet to point to a single mistake in my arguments or facts. Instead they employ the old rabbinical tactics namely excommunication (herem). Why do they employ the Talmudic tactics? Probably because this is what they are: Talmudics. In spite of being the ‘people of the book’ they are engaged in an intensive horrific book burning. I believe that if they could nail me to the wood, they probably would. Silvia Cattori: They claim (4) that your questioning of Judaism and Jewish anti-Zionism is fueled by “racism” because it attributes “to a whole group of people negative criteria in order to discredit them”. Are they not honest? Gilad Atzmon: For sure they aren’t. I do not deal with Judaism. I don’t criticise Judaism, though I allow myself to refer critically to some Judaic interpretations. Yet, I am indeed extremely critical of Jewish politics and Jewish anti-Zionism in particular. But the first questions to raise here are why should anyone stop oneself from questioning Judaism or Jewish politics or Jewish anti-Zionism. Is Judaism beyond criticism? Is Jewish politics inherently innocent? Do Jewish anti-Zionists believe themselves to be perfect? It is clear that my detractors adhere to the most banal and disturbing view that Jews are, somehow, chosen, Judaism is unquestionable and Jewish politics must remained intact. I obviously do not accept this approach. Considering the negative impact of Jewish political lobbies and their push for another global war, criticising Jewish politics is the true meaning of peace loving. I should also emphasize that concerns to do with ‘ethnicity’ or ‘race’ are foreign to my work. In my entire body of work, there is not a single reference to Jews as a ‘race’ or ‘ethnicity’. I am critical of Jewish ideology and Jewish culture. And I think that it is my right and my duty to criticise this culture and ideology; especially considering the fact IJAN, UJFP, ADL, The Zionist Federation or whatever, operate as Jews-only groups and their motivations are far from being universal or ethical. Silvia Cattori: And what about the “classical anti Semitism”? It depends how they define ‘classical anti-Semitism’. It is true that the nineteenth century brought about a school of thought highly critical of Jewish culture. We are familiar with the debate between Athens and Jerusalem. As far as I am concerned, this was, and still is, a very interesting and enlightening debate. If anything, this debate led generations of Jews towards reformation, humanism and tolerance. However, we all agree that anti-Semitism became a very problematic, vile and murderous trend when it has adopted a biological determinist attitude. It basically became a Darwinist racist discourse. But shockingly enough, Jewish politics (left, right and centre) is soaked with such racist attitudes. Can you Silvia join one of those ‘progressive’ Jews-only groups? I don’t think so, and why not? Because you aren’t racially qualified. Silvia Cattori: What about the systematic accusation of being a Holocaust denier? Gilad Atzmon: Holocaust denial is obviously a Zionist notion. No one denies the Holocaust though some people debate some elements to do with its historicity. I myself do not engage in any historical debate for I am not a historian. However, I believe that history must be an open discourse. If anyone thinks that I am wrong here, he or she better produce a good argument. He or she will also have to explain what is wrong with Israeli Nakba law. Silvia Cattori: When they claim that you “attack both anti-Zionist Jews and religious Jews in racist terms” do they lie? Gilad Atzmon: For sure they lie. It is not true and a total misrepresentation of my writing and work. In my entire work you would not find any criticism of Judaism or Jews as people, race or ethnicity. I only refer to ideology. I am indeed very critical of all “Jews- only” political cells. I examine some Jewish anti-Zionists and left Zionists or AZZ (Anti-Zionist Zionists) because they see their Jewishness as a primary political quality. Prominent Zionist Chaim Weizmann said that there are no French Jews or British Jews or American Jews. There are only Jews who live in France, Jews who live in America and Jews who live in Britain. This means that as far as Zionist ideology is concerned, Jewishness is a primary quality. Jewish anti-Zionists, or ‘Jews for peace’ clearly see their Jewishness as a primary quality. If it would not be a primary quality they would join the peace and solidarity movement as ordinary people. Jewish ideologies are very different on many issues. But they all agree on a few fundamental issues: chosen-ness, exclusiveness and segregation. The one thing they all believe is that Jews are somehow special. Otherwise, If Jews are not special, why do they operate in “Jews only” cells? Silvia Cattori: They accuse you of suggesting that “the Israeli colonialist oppression is not the product of Zionism but the outcome of Judaism”. What do you say to that? Gilad Atzmon: Again, a total misrepresentation. To start with, I do not talk about Judaism. Instead I discuss Jewish ideology. I may ask what are the Judaic traces within a cotemporary Jewish ideology?. I would ask, for instance, how the Book of Deuteronomy filters into the Zionist thought. I would ask what is the meaning of The Book of Esther? But I also argue that it is not ‘Zionism’ that inflicts pain on the Palestinian people but the Jewish State; and it does it in the name of the Jewish people. If Israel defines itself as the Jewish State and its tanks are decorated with Jewish symbols, we must be able to ask who are the Jews? What is Judaism and what is Jewishness? In my work, I differentiate between Zionism and Israeli discourse. I argue that Israel it is not driven by Zionism; and Zionism is, in particular, a Jewish Diaspora discourse that become more and more irrelevant to the oppression of the Palestinian people. Silvia Cattori: Recently, you have also been criticized in a letter apparently written by Ali Abunimah and signed by a number of Palestinian activists. This has provoked many comments and articles in your favor (4). It only affirms publicly your argument regarding the negative impact of tribal politics within our movement. Silvia Cattori: Vos détracteurs au sein de l’UJFP et de l’l’IJAN ont sauté sur l’occasion. In Switzerland the Israelis; Gabriel Ash based in Geneva or Caroline Finkelstein for example, who are part of the “Comité Urgence Palestine” and IJAN in signeda statement against you showing which side they are on (5) and launched a campaign against you (6). In doing that, are they not working against one of the very rare brilliant ex- Israeli intellectuals “more qualified than they are and who is at least honest and not feeding on the miseries of others or monopolizing a righteous cause in order to keep a job or acquire a position or get a promotion, some one who could shed the light on the real cause of the Palestinian plight” (7)? Gilad Atzmon: This is hardly surprising and it is totally consistent with everything I say in The Wandering Who. Some of the Jews within our movement are serving Jewish tribal interests. It is only natural that people who identify politically as Jews would also act out of Jewish self interest. Philip Wiess, American pro-Palestinian activist admitted to me in an interview that as a Jew he operates out of Jewish self interest. Silvia Cattori: In the name of the fight against “anti-Semitism” they are denouncing your discourse, apparently trying to stop your activity and not let people read your book. One of the priorities of the Swiss BDS Movement now is to expose Gilad Atzmon anti-Semitism (8). Gilad Atzmon: For more than a while, myself and others are very suspicious of the BDS. For some peculiar reason the BDS in the West is dominated by Jewish activists. Though the BDS’ principle is valid and worth a fight, it has become clear to many of us that something went wrong along the way. Last month we have seen BDS call to stop Norman Finkelstein; this month we see BDS call to stop me. Great, isn’t it? The BDS is now used to stifle freedom within the solidarity discourse. Interestingly enough, already in 2006 I predicted that any attempt to interfere with freedom of speech may turn the BDS into a banal witch hunt facilitator. But recently I have seen some very worrying signs. We learned for instance that in spite of the global financial crisis that hit Britain very hard, British trade with Israel increased by no less than 34%. So on the one hand we have BDS activists engaged in a successful weekly vigil against an Israeli beauty product shop, they even manage to destroy a few concerts but at the same time Israel is shipping tons of goods into this country. What is going on here? Silvia Cattori: Would it be correct to suggest that your deep desire is to alert the Goyim. To advise to them stop being driven by guilt, being humiliated and submissive? Gilad Atzmon: In my world there is no division between Jews and Goyim. My big desire is to say what I want to say. I believe that my message is pretty crucial for people, who are interested in peace, be it Jews or Goyim. It is clear to me that with Israel and Jewish lobbies pushing for more and more wars, Israel and its lobbies set themselves up as the biggest threat to world peace. It is also clear to me that Jewish communities fail to restrain Israel and its lobbies. And the message for all of us is clear. It is down to us to save our planet. This planet is our home and we are sitting on a ticking bomb. We’d better hurry up, we’d better speak out before it is too late. 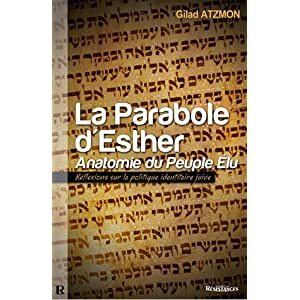 – Voir : « Gilad Atzmon répond à ses détracteurs », 25 octobre 2011. – « L’appel d’Ali Abunimah a profondément choqué », par Roger Tucker, 24 mars 2012. À la fin de l’article de Roger Tucker on trouvera également les liens des articles de nombreux auteurs ayant pris la défense de Gilad Atzmon contre les attaques dont il est l’objet. (6) Caroline Finkelstein, membre de l’IJAN, dissuade le Comité urgence palestine (CUP-Vaud) le 9 février 2012 de donner la parole à Atzmon en ces termes : « Nous ne sommes pas officiellement membre du CUP-Lausanne mais nous aimons bien collaborer avec vous tous. Nous aimerions attirer votre attention sur la polémique qui existe en ce qui concerne Gilad Atzmon. Nous nous permettons de vous conseiller de bien vous renseigner sur le personnage avant de le faire venir. IJAN (International Jewish Anti-zionist Network – Réseau international juif antisioniste, dont nous sommes membres) et UJFP (Union Juive Française pour la Paix) rejettent les arguments de Gilad Atzmon. Nous personnellement n’assisterions à aucune conférence avec Atzmon ». – « La campagne lancée par Ali Abunimah contre Gilad Atzmon est injustifiable et inacceptable », par Daniel Mabsout, 26 mars 2012. Warschawsky ou maintenant Shir Haver (qui demande 200.- euros par conférence et la prise en charge de tous les frais). Introduction by Gilad Atzmon: One could imagine how delighted I was to be interviewed (and grilled) by Prof. Norton Mezvinsky whom I admire for years. Prof. Mezvinsky is an observant Jew, he is also one of the world leading scholars on Jewish history, Zionism and Jewish identity politics. He has written numerous books, articles and book reviews that deal with various aspects of the Arab-Israeli conflict and Zionism. He is the co-author of Jewish Fundamentalism in Israel, which he wrote with Israel Shahak. Beside the intellectual engagement, I must also mention that Norton is an incredible spirit and one of the most charming people I have ever come across. It goes without saying that I was thrilled to meet and to be questioned by the legendary Helen Thomas. I will use this opportunity to thank the outstanding Washington Report and the other incredible organisations and individuals who orgenised, endorsed and supported my last USA truth seeking mission into a great success. Israeli-born Gilad Atzmon, one of Europe’s finest jazz musicians, was in Washington, DC for the first time at the end of a multi-city North American grassroots tour to discuss his recently published and highly controversial book, The Wandering Who? A Study of Jewish Identity Politics. Watch the video of the Atzmon addressing the charges frequently levied against him. Decide for yourself—should Atzmon continue his frank discussion of Jewish identity or should his voice be silenced? The Washington Report believes that no writer or thinker should be shunned in the United States—or anywhere—and we stand by our decision to host his DC events. Stephen Lendman talks with Gilad Atzmon about The Wandering Who? Atzmon is an Israeli-born musician/writer/activist critic of Israeli repression against Palestinians and its Arab citizens. He’s also the author of “The Wandering Who?” His new book and Middle East/North African issues will be discussed. Middle East issues will be discussed. Filed under: Gilad Atzmon, Interviews, Stephen Lendman, The Wandering Who |	Comments Off on Stephen Lendman talks with Gilad Atzmon about The Wandering Who? Silvia Cattori: Your political analysis, translated into dozens of languages , reaches a wide readership on the web. For whom exactly do you write? Gilad Atzmon: I write mainly for myself. I try to understand the world around me. A few years ago, I began to understand that a lot of people out there were also interested in the thoughts I indulge myself with, so I started to let other people have access into my boiling destructive mind. Gilad Atzmon: No. For many years I have not bought newspapers. I am interested in the Middle East, and the mainstream media has very little to offer on that front. Probably the only expert within the British or even English-speaking media press is Robert Fisk. If I want to know what is happening in the Middle East I go to “Counterpunch”, “Information Clearing House”, “Veterans Today”, “Rense.com”, “Uprooted Palestinian”, “PalestineTelegraph”, “Palestine Chronicle”, “Dissident Voice”, “Uruknet”, and other reliable websites. Our independent websites and blogs are far more informative than the mainstream media. Collectively, we provide a source of information that people can trust, and we are rapidly becoming the main source of information. I see how many people are coming to visit my site. If there is a crisis in Gaza for instance, the public want to see what Gordon Duff, Ramzy Baroud, Alan Hart, Israel Shamir, Alex Cockburn, and Ali Abunimah have to say about it. I have zero respect for the mainstream media. And if the mainstream media wishes to survive, it had better move on quickly, otherwise it is finished. Silvia Cattori: Doesn’t the disinformation regarding Israel relate to the fact that honest journalists are themselves subject to Israeli propaganda? Silvia Cattori: We see the same mechanisms of censorship and information control at work in the new alternative media as well. Anyone whose views are likely to jostle the agenda of the online donors is censored. Don’t you think that’s sad? Gilad Atzmon: Yes it is irritating, but to a degree, that is what is to be expected — you have to remember that every form of discourse is, in practice, another set of boundaries. That may explain why the artist is far more effective than the Marxist agitator, or even the academic: while the Marxist or the academic are there to maintain the boundaries, the artist is there to present an alternative reality. My choice is obviously clear — I am an artist. Silvia Cattori: In your opinion, is the Israeli press freer than our own press? Gilad Atzmon: Interestingly, the Israeli press is not free; but it is still more open than the Western media. In spite of the censorship, it is still open to discussions about ‘Jewish questions,’ and it is noticeably more critical of the Israeli State than the Guardian, the New York Times or even the Socialist Worker. By the way, even the UK Zionist newspaper, The Jewish Chronicle (JC) is more open than the Guardian: it was in the JC that I read a report about David Miliband’s relentless attempts to amend the British universal Jurisdiction laws. Silvia Cattori: Despite the harshness of your criticism against Israel, the Israeli daily Haaretz  or the Arte channel have not censored you. Is it the accomplished jazz musician or the Israeli opponent that appeals to the interest of the Media? Is it a sign that something has changed? Gilad Atzmon: Both I guess. I may be interesting for them in different ways — perhaps I offer them an opportunity to express what they think, exactly where they lack the courage to say it themselves. However, the title of my new album is “The Tide Has Changed” . And something is clearly changing, and it is big. Also, I can see that more and more people are beginning to admit that my writings are becoming influential. When I tour around the world I give very many interviews and talks. It is also true to say that I have a few enemies, who consistently try to silence me. They struggle to cancel my talks and concerts. But they have failed, again and again. I am still kicking, and I do not have any plan to stop. Stephen Lendman is a prolific political commentator, author and radio host. He is a research associate with the Canada-based Center for Research on Globalization. His articles have been widely published on a variety of news websites and magazines across the world and translated in several languages. He is based in Chicago and has written extensively on war and peace, social justice in America and many other national and international issues. Stephen Lendman is a recipient of a 2008 Project Censored Award, University of California at Sonoma. Lendman’s articles have appeared on Leworockwell.com, Dissident Voice, Counter Punch, Counter Currents, Intifada Palestine, Palestine Telegraph, The Greanville Post, Palestine Chronicle, Baltimore Chronicle, Counter Currents, Information Clearing House and Veterans Today. Stephen joined me in an interview to discuss the latest developments in the Middle East, the destiny of Egyptian Revolution, the situation in Tunisia and the prospect of civil war in Libya. What follows is the complete text of my interview with Stephen Lendman, political analyst and author from Chicago. Kourosh Ziabari: The Egyptian revolution of 2011 began and progressed quite unexpectedly and unpredictably. After decades of U.S.-backed dictatorship under Hosni Mubarak, the people of Egypt took to the streets of Cairo and Alexandria all of a sudden and called for the dismissal of the dictator and the installation of a democratically-elected president. What were the motives behind this revolution? Stephen Lendman: First of all, Egypt like elsewhere in the region (except for Libya and Syria) experienced a popular uprising against Mubarak and his regime. Mubarak’s out. The regime remains in place, headed by a repressive military junta as brutal as before under him. I’ll have a new article ahead on their brutal killings, detentions and torture. I made the comment that everything in Egypt changed but stayed the same. Egyptians know it and are reacting. Whether they’ll do it with the same enthusiasm as earlier remains to be seen. If so, the military will confront them violently. Popular motivations are for populist democratic change, decent jobs, a living wage and essential benefits, human and civil rights, and ending high-level corruption. None of that’s been achieved anywhere in the region from popular uprisings. KZ: After Tunisia and Egypt in which the revolutionary forces and people on the ground succeeded in ousting the U.S.-backed puppets, several other Arab nations joined them and staged massive street demonstrations to call for civil liberties, improved living conditions, freedom and democratic governments. Can we interpret this collective uprising a result of the explosion of strong pan-Arabist sentiments? SL: I think the Tunisian uprising inspired others, and have had them from Morocco to Syria to Oman. Syria is different though, externally incited and armed like in Libya. New reports are that Saudi Arabia and Lebanon’s Saad Hariri are involved. But no question, Washington is the driving force. I think, but can’t prove, that the Obama administration targets only the regime, not Assad – Western educated with a Western wife. Much different than his father, nominally running the regime Washington wants replaced. So does Israel but in a way that won’t further destabilize the region. A tall order I believe, as the whole region now is in an uproar with anger directed both at repressive regimes and Western governments that back them. KZ: Many Iranians believe that the uprisings of Tunisia and Egypt have been inspired by Iran’s Islamic Revolution of 1979. They compare the overthrowing of U.S.-backed Mubarak and Ben Ali to the deposition of Mohammad Reza Shah which was unconditionally supported by the United States and its European allies. Do you find such a relationship between these revolutions which took place during an interval of 32 years? SL: Very possibly Iran’s 1979 revolution inspired the current uprisings although most young people don’t remember it firsthand. Nonetheless, the lesson is that sustained resistance works. Again I don’t know, but today’s regional spark seems to have legs. Nothing like it before that I recall, so I’m hopeful something good may come from this, including in Palestine. But I say all the time, it won’t be easily or quickly. KZ: The Libyan dictator Muammar Gaddafi is said to have deposited $90 billion in Italian and other European banks. Since 1990s, the European states moved towards normalizing their ties with the dictator and supported him both politically and financially. Now, these Western states with which the Libyan dictator was once a close friend are calling for a unified international action against him. The old friend has now become a bitter enemy. Isn’t this an exercise of double standards by the Western governments? SL: What’s true of America holds for other Western powers. They have interests, not allies. Gaddafi was never really accepted. The plan to oust him was hatched years ago, awaiting the right time to do it. Lots of reasons why, including his support for pan-Africanism, having his own state owned central bank, wanting a regional gold-backed dinar, possibly nationalizing Libyan oil, not being part of AFRICOM, plus Washington wanting to balkanize the country, control its resources, exploit its people, privatize all state enterprises, and establish new US bases. It’s the same imperial scheme America plans globally. KZ: The media have reported that the mercenaries of Colonel Gaddafi have so far killed more than 6,000 protesters in Tripoli and other cities of Libya. What’s your prediction for the political future of Libya? Gaddafi has vowed to remain in power and “die as a martyr.” Will the Libyan revolution bear fruits? SL: I don’t believe Gaddafi killed 6,000 in Tripoli. I do know though that NATO bombed a Brega peace conference attended by 150 leading Imams, killing 10, injuring 40 badly enough to require hospitalization. The official lie is they bombed a command and control center. It was a non-military conference center. Why? Washington wants war, not peace, and won’t end it until Gaddafi is ousted, ideally killed. As a result, hostilities could continue for sometime, taking a horrendous human toll. In the end, his survival chances are very slim. KZ: Prof. Rashid Khalidi believes that the recent uprisings in the Arab countries have transformed and changed the mainstream media’s portrayal of the Muslim world. The people that were once introduced as fanatic terrorists and extremists are now being called freemen who sacrifice their lives for the sake of achieving freedom and liberty. Do agree with this viewpoint? Has the communal uprising of the Arab world changed the public’s viewpoint regarding the Arabs and Muslims? SL: I disagree with Khalidi. My Sunday article is on one my of my common themes – targeting Muslim Americans bogusly for connections to terrorism. We get regular inflammatory headlines, and news anchors like on Fox News saying all Muslims aren’t terrorists, but all terrorists are Muslims. The same theme repeats, vilifying Muslims for their faith and ethnicity. Since 9/11, fear of Islam and terrorism has been engrained in the popular mindset. KZ: What do you think about American double standards with regards to human rights issue? Bahraini government is now violating the rights of its citizens to the gravest extent, but the U.S. has kept silent. Why? SL: The double standard is glaring. I ripped apart Obama’s Middle East speech, outrageous hypocrisy. We talk peace but wage war. At the same time, we support the most brutal Middle East regimes, especially in Saudi Arabia, Bahrain, and Yemen, but also in Morocco, Algeria, Tunisia, Egypt, Jordan, the other GCC states, etc. KZ: What will be the impacts of Arab world’s uprising on the power equations in the Middle East? Will the U.S., Israel and their European cronies suffer damages as a result of the Middle East revolution? Who is the real winner of this power game? Bassem Tamimi: "Our destiny is to resist"
When I met Bassem Tamimi at his home in the occupied West Bank village of Nabi Saleh this January, his eyes were bloodshot and sunken, signs of the innumerable sleepless nights he had spent waiting for Israeli soldiers to take him to prison. As soon as two children were seized from the village in the middle of the night and subjected to harsh interrogations that yielded an unbelievable array of “confessions,” the 44-year-old Tamimi’s arrest became inevitable. On 25 March, the army finally came, dragging him away to Ofer military prison, a Guantanamo-like West Bank facility where he had previously been held for a 12-month term for the vaguely defined crime of “incitement.” His trial before a military court that convicts more than 99 percent of Palestinians brought before it is scheduled to begin on 8 May. Like nearly all of his neighbors, Tamimi has spent extended time in Israeli detention facilities and endured brutal treatment there. In 1993, he was arrested on suspicion of having murdered an Israeli settler in Beit El. Tamimi was severely tortured for weeks by the Israeli Shin Bet in order to extract a confession from him. Tamimi said that during the torture he was dropped from a high ceiling onto a concrete floor and woke up a week later in an Israeli hospital. In the end, he was cleared of all charges. With his wife, Nariman, and his brother, Naji, Tamimi has been at the center of Nabi Saleh’s popular resistance against the occupation since its inception in 2009. The village’s unarmed struggle has brought hundreds of Israelis and international activists to participate each Friday in boisterous and theatrical demonstrations that invariably encounter harsh Israeli violence, including the use of live ammunition against children. While other villages involved in the popular struggle have seen their ranks winnowed out by a harsh regime of repression and imprisonment, Nabi Saleh’s protests continue unabated, irking the army and frustrating the settlers of Halamish, who intend to expand their illegal colony further onto Nabi Saleh’s land. Tamimi and I spoke amid the din of a stream of visitors parading in and out of his living room, from international activists living in the village to local children to a group of adolescent boys from the nearby town of Qurawa, who told me they came to spend time with Tamimi and his family “because this is what the Palestinian struggle is about.” Tamimi is a high school teacher in Ramallah and his professorial nature is immediately apparent. As soon as I arrived at his front door for what I thought would be a casual visit, he sat me down for an hour-long lesson on the history, attitudes and strategy that inform the brand of popular struggle he and his neighbors had devised during weekly meetings at the village cultural center. Our discussion stretched from the origins of Nabi Saleh’s resistance in 1967 to the Oslo Accords, when the village was sectioned into two administrative areas (Areas B and C), leaving all residents of the Israeli-controlled portion (Area C) vulnerable to home demolition and arbitrary arrests. Tamimi insisted to me that Nabi Saleh’s residents are not only campaigning to halt the expropriation of their land, they seek to spread the unarmed revolt across all of occupied Palestine. “The reason the army wants to break our model [of resistance] is because we are offering the basis for the third intifada,” Tamimi said. Max Blumenthal: There are rumors that the Israeli civilian administration will demolish your home if you continue the popular resistance. Is there any truth to that and on what grounds can they carry out the demolition? Bassem Tamimi: My house was built in 1964 when this area was controlled by Jordan. Back then it was easy for me to get a permit to renovate. Now when I want to add a second level to the house for my family of course I can’t get a permit from the Israelis so I am forbidden to build. In this way they are forcing the next generation of our village to move to Area B in the center of the village. Their goal is to carry out a form of indirect transfer that will make Nabi Saleh into a refugee camp in the near future. The village will then be nothing more than a hotel that provides workers for the Palestinian Authority, maybe with no school and definitely with no relation to our land, since we will be forced off of all the parts we can farm. In the future, Area C will be empty and all of us who live there will have to move to places like Birzeit which are located in Area A.
I wanted to build a wall around my garden and I didn’t do it. The reason I didn’t was that it would have only been demolished since I am not able to get a permit. I didn’t want to risk them demolishing my house. All the new houses built after Oslo were in Area B but we have not been able to build a single new house in Area C.
MB: How has the expansion of the nearby illegal Jewish settlement Halamish influenced the popular resistance in Nabi Saleh? BT: In 1976, the settlers came to an old British military camp on our land. The next year they built a settlement called Halamish. I asked one of them what right he had to the land. He told me his right was in the Bible. The Labor government blocked construction of the settlement, but a year later when Menachem Begin and Likud were elected, they allowed it to go ahead. During the second intifada, the army made the whole area around our village a closed military zone. This allowed Halamish to expand even more onto our land. Then in 2008 the army demolished the second fence around our village, another step for more expansion. So we see the steps they are taking to push us out of Area C and off our land. MB: When did Nabi Saleh choose to wage an unarmed popular struggle and why? BT: This village has a long history of resistance. It is part our culture. We have had 18 martyrs since 1967. Most of our youth are taken away to prison. I have been arrested ten times and placed under administrative detention. We have experience in military resistance but we decided the best way to resist was nonviolent. We want to build a model that looks like the first intifada, an alternative to military resistance. Our village knows exactly what to do because we were involved in the intifada. And the reason the army wants to break our model is because we are offering the basis for the third intifada. For my whole life most of the Israelis I met were soldiers and interrogators. But when we started the popular resistance in 2009 I began to see that there were some Israelis who had removed the occupation from their minds. Like Jonathan [Pollack], who was the main person to bring Israelis and internationals here in the beginning. So we became friends. The occupation is continuous in Israeli society and this is why they lose — because they try to force us to accept them as an occupier, and that will never happen. We don’t have any problem with Jewish people. Our problem is with Zionism. We don’t hate them on the other side; we simply demand that they end the occupation of their minds. The separation between us is between different ways of thinking, not between land. If we change our ways of thought and remove the mentality of occupation from our minds — not just from the land — we can live together and build a paradise. MB: Your demonstrations have been criticized by outsiders because the throw stones at the soldiers. Meanwhile, the Israeli army claims stone-throwing is an armed attack or a form of violence so the popular resistance is not really nonviolent. What do you make of these claims? MB: What is your relationship with Fatah and the Palestinian Authority like? BT: We had an intifada based on popular struggle but the Oslo accords crushed it. Now the people are tired after the second intifada was crushed. So Fatah talks and talks but they can’t manage to bring [the popular struggle] across the West Bank. Fayyad wants to come here and be seen and use our struggle as a theater to have his picture taken. We know that Fatah could bring thousands of people here but they don’t want to. They don’t order their members to join the struggle. We want to ask them to make popular struggle everywhere. We do all that we can but without them, we can only do so much. MB: Do you see any role for the peace process in ending the occupation? BT: In thirty years the Europeans and the United States paid 5 billion dollars for normalization projects but they give us no steps towards a solution. If they want to do something to stop the occupation they should stop these initiatives that put people up in five star hotels to do dialogue. It’s not common sense! And all these academics who come here to study us and then go and write about how throwing stones is violent — that means nothing to us! Popular resistance is a way of life that means being close to the ground. I’ve been in the dialogue workshops and they are a complete waste of money. Both sides are suffering under the occupation but in a different way. [Israeli soldier] Gilad Shalit was captured but who sent him to occupy and kill? The normalization initiatives never address questions like this. MB: One of the key differences between the demonstrations in Nabi Saleh and in a place like Nilin is the role of women. Every time I come here on a Friday the women are at the front of the protest while in Nilin they are not always that visible. Is this deliberate? BT: From the beginning of our struggle the Israelis targeted the women of our village. For example, my wife, Nariman, was arrested and jailed for ten days. The army targets the women here because they know our culture; they know that we see women as 50 percent of our struggle and no less. Women [raise] our children. Women can convince people more easily than men. When our men see the women being brave, they want to be more brave. Women are in the center of our struggle because we believe women are more important than men. It’s that simple. MB: What do you think army’s long-term objective is? BT: The army is determined to push us toward violent resistance. They realize that the popular resistance we are waging with Israelis and internationals from the outside, they can’t use their tanks and bombs. And this way of struggling gives us a good reputation. Suicide bombing was a big mistake because it allowed Israel to say we are terrorists and then to use that label to force us from our land. We know they want a land without people — they only want the land and the water — so our destiny is to resist. They give us no other choice. Max Blumenthal is an award-winning journalist and bestselling author working in Israel-Palestine. His articles and video documentaries have appeared in The New York Times, The Los Angeles Times, The Daily Beast, The Nation, The Huffington Post, Salon.com, Al-Jazeera English and many other publications. He is a writing fellow for the Nation Institute. His book, Republican Gomorrah: Inside The Movement That Shattered The Party, is a New York Times and Los Angeles Times bestseller. Filed under: Interviews, Life under occupation, Occupation Terrorism, Palestinian Resistance |	Comments Off on Bassem Tamimi: "Our destiny is to resist"